My family was military. At least, my dad and brother made it their life’s work. Neither died in battle and so aren’t really honored by this day, at least formally. And the military didn’t begin with them. My Grandpa, a man I barely remember, was also military; at least for a lot of his life. And he came close to being a formal part of Memorial Day. Here he is in 1918. 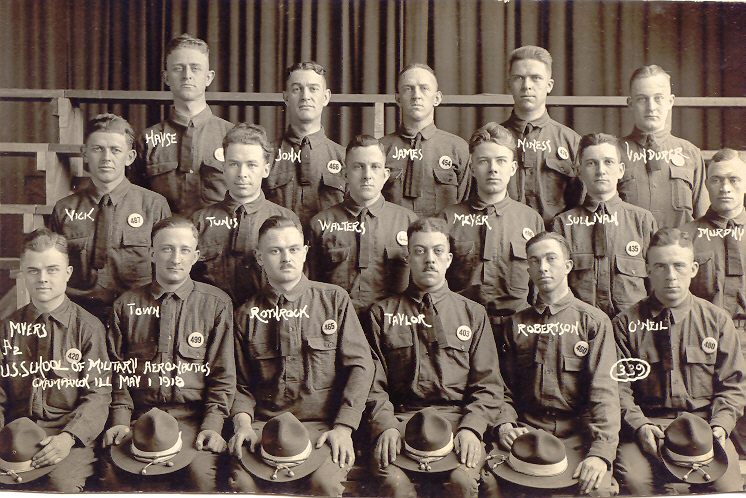 Second row, second from the left. 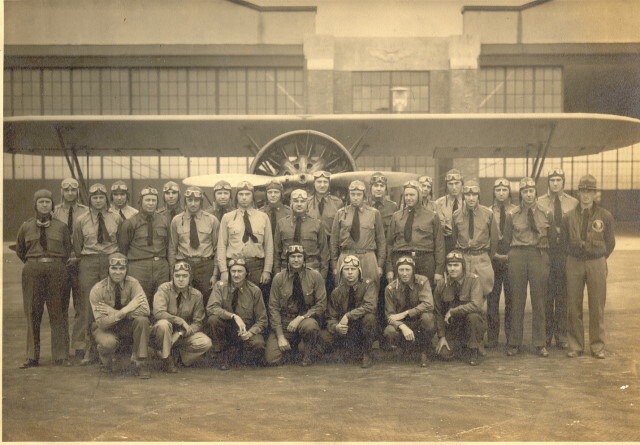 This is the U.S. School of Military Aeronautics in Illinois (I can’t read the name of the place but it looks like “Champanoy”) on May 1, 1918. He did have a very nasty accident in an airplane. Below is the front page of the Detroit Times from February 20, 1933. That’s him in his hospital bed and that’s his aircraft (and another guy’s) as a complete wreck. It reads that Captain Henry M. Tunis and Lt. Raymond D. Robison collided and both had to take to their parachutes after a mid-air collision. They were flying in formation and at about 3,000 feet they veered together and collided. 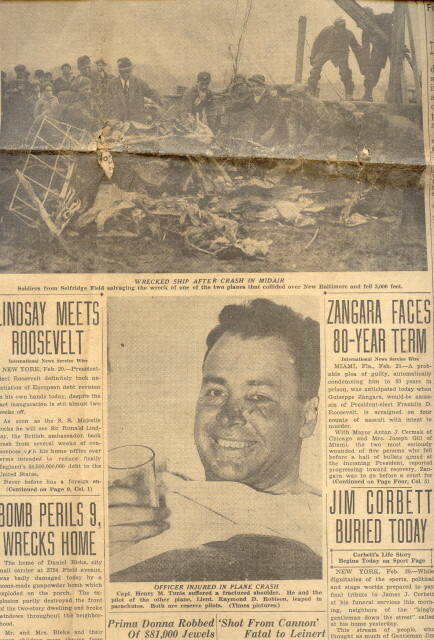 My grandfather broke his shoulder and the other pilot suffered some lacerations. Both men were members of the Air Corps Reserves and were keeping up with their flying hours through weekly flights. He was a good pilot with a lot of hours. But he almost became one of the “no old bold pilots” that day and would have left a wife and eight-year old son in the midst of the Depression. This entry was posted on May 26, 2008 at 3:47 pm and is filed under Administrative. You can subscribe via RSS 2.0 feed to this post's comments. You can comment below, or link to this permanent URL from your own site.